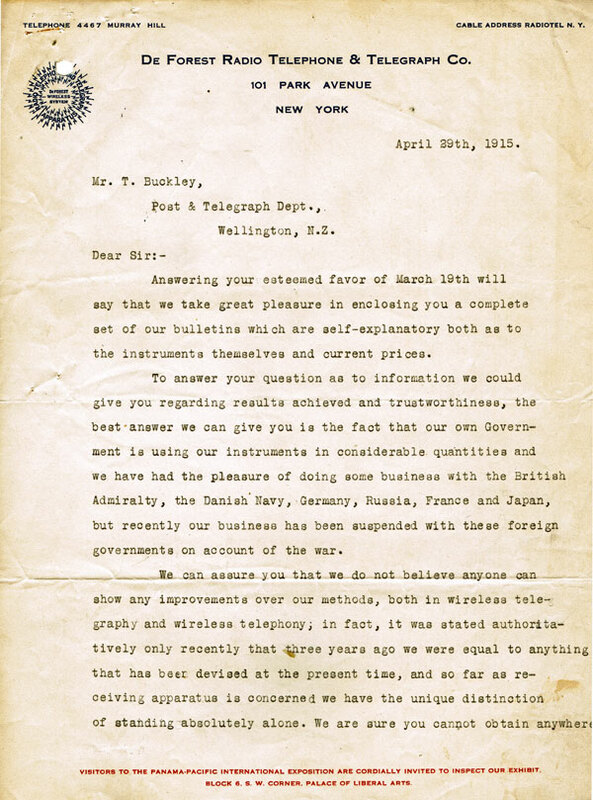 In April 1915, FM Williamson of the De Forest Radio Telephone and Telegraph Company in New York responded to an enquiry from Mr T Buckley of the New Zealand Post and Telegraph Department. 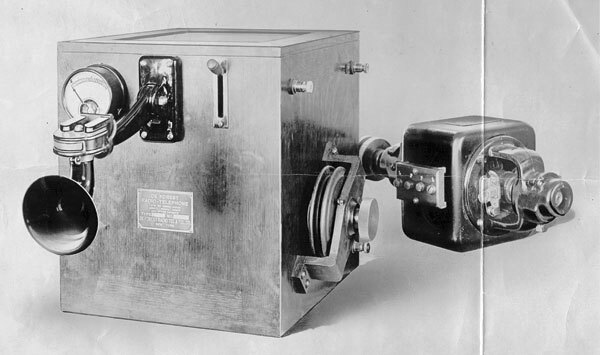 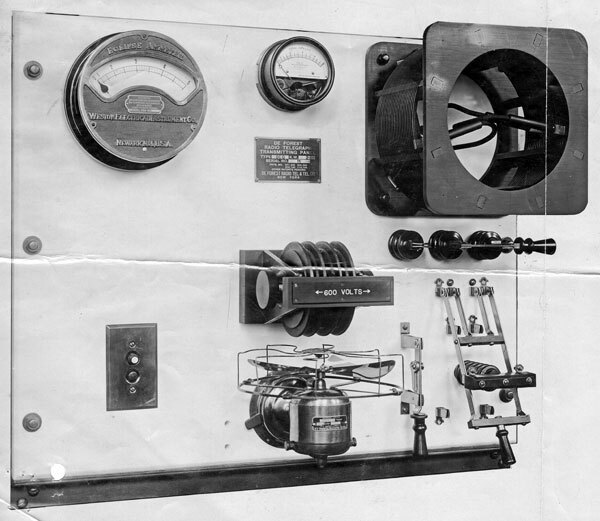 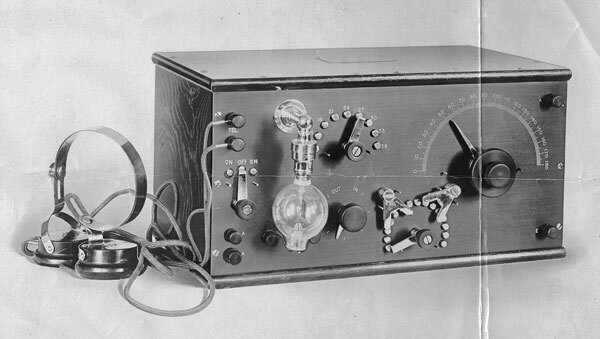 The US company had been organised in 1913 as the Radio Telephone and Telegraph Company, then added the name of founder Lee De Forest the following year. 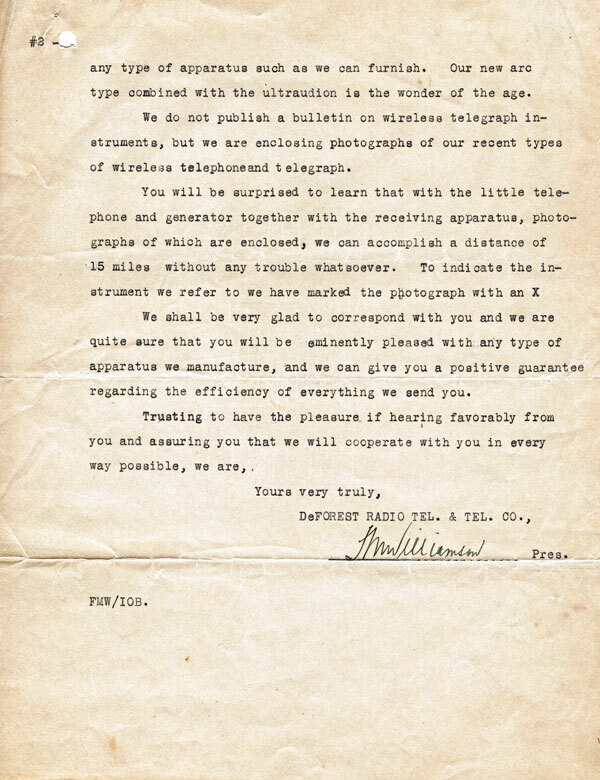 The letter from the De Forest company and the photos enclosed with it are reproduced below.